How CBH Hairstyle Course Can Accelerate Your Career. There are lots of people these days for whom life is busy, and we understand that finding part-time work, or work you can do from home, proves tricky. Instead of searching high and low to find a job that fits around the school run, why not start your own business and make your own schedule? Tapping into the beauty industry is a great career to follow because as a whole, society is becoming far more focused on appearance. With the arrival of a mass increase in celebrity culture, more and more people want to be on trend; have matching hairstyles and super make-up without having to spend hours online watching YouTube tutorials on how to achieve the best winged eyeliner. It’s pretty much over to the experts for that one. 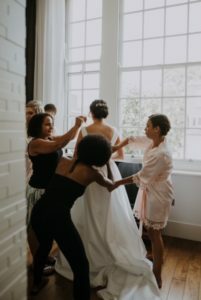 So, when there’s a special occasion – wedding, birthday party, bar mitzvah – people want high end, expert attention to create their perfect, eye-catching style. This is an industry which will never die, so investing in learning your trade is a direct investment for your future. And when it comes to training, Create Beautiful Hair courses are a cut above the rest. If you are thinking of starting your own beauty business, or you just want some handy skills, we can help. Why Choose a Create Beautiful Hair Course. Firstly, we’re a multi-award winning company: we hold the trophy for Make-Up Specialist of the Year in 2017 and the Winner UK of Best Wedding Hairstylist. But while industry awards are great at demonstrating the calibre of our work and teaching, Create Beautiful Hair is about so much more than that. With a keen focus on the client experience, we offer a wide range of courses designed to help you perfect a number of key skills. 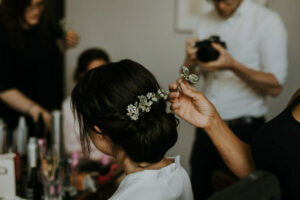 Bridal Hair-Up Styling and Make-Up. This is a two day, on-site course with bespoke 1-2-1 training Make-Up and Hair-Up Training. We have models you can practice your art upon, including Bride, Fashion, Glam and Mother Of The Bride models. By the end of this course you will know the fundamentals of Hair-Up and Make-Up and you will feel confident creating beautiful styles for your clients. We show you how to create different styles simply through blow-drying. These can be done on long, short or medium length hair – anything goes! Styles we teach include a simple straight blow-dry, a volume blow-dry and a curly blow-dry. 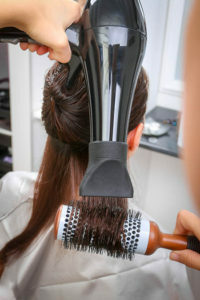 So, whatever you or your client have in mind, you’ll have the ability to do a great blow-dry to achieve it. Plus, we can advise you on the perfect tools and products to use that will actually work. 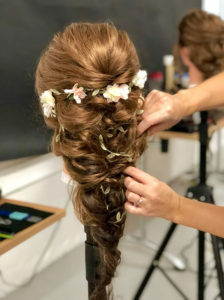 Bridal Hair-Up Styling and Make-Up As An Online Course. Our expert, online tutorials make learning your craft over the internet easy. And it gives you the flexibility you need to be able to work from anywhere and at any time from just £9.99 per month. 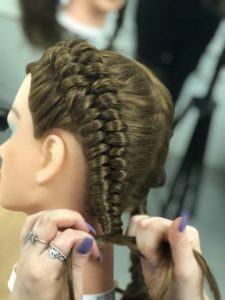 Braiding and plaiting can be complex styles to learn, not least because there are so many different options. 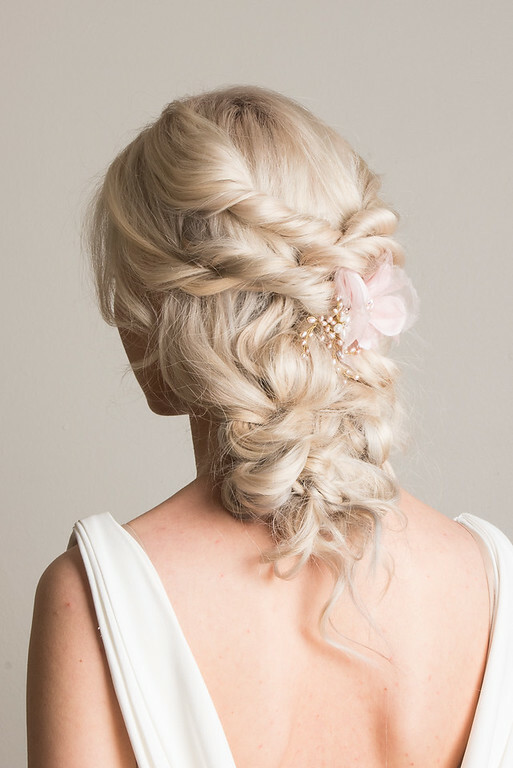 Create Beautiful Hair can teach you how to do everything from French and Dutch to Zipper and Lace plaits. 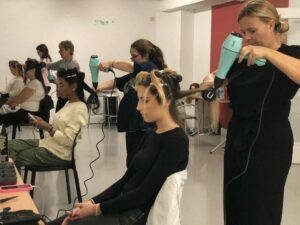 So if you’re always finding your fingers getting in a twist as you try to juggle several sections of hair at a time, then this course can revolutionise your hair styling life. Ultimately, whichever hairstyle you’d like to perfect, we have the experience necessary to teach you. Where Are Create Beautiful Hair Courses Held? We are based in London – but you don’t have to be. We have options for you. Our online tutorials are a great way to learn if you’re juggling several balls at once and you have to fit it in and around existing commitments. However, we also have provision for you to gain your experience hands-on if that’s how to prefer to learn. As well as London we also have training venues nationwide, in Manchester and Birmingham. We also offer our courses in salons and colleges. We regularly showcase our skills at all of our training venues so that you can be sure that you are learning at the very highest level. With Brexit looming and the cost of living climbing ever higher, we understand that prospective students may need a little flexibility with payment. If you’d rather not pay the whole amount in one go, you can pay by installments via Create Beautiful Hair or Paypal credit so you’re spreading the cost in a manageable way. Full details of our various payment schemes can be found on the website. The beauty industry in all its glory will never die. There will always be a market for hair and make-up and here at Create Beautiful Hair we are proud to be able to offer the very highest level of training, giving confidence as you go forward into the art of making people beautiful.